Rejoice, for Serial has returned. The second season of the popular podcast is here, with a new case to try in the court of public opinion. Focused on the disappearance of Private Bowe Bergdahl in Afghanistan, this time around Serial is going big. Buckle up, kids. When it debuted a year ago, the podcast from the creators of This American Life became a sensation. David Carr called the show “podcasting’s first breakout hit” and it broke records as the fastest podcast to reach 5 million downloads. Parodies appeared on Saturday Night Live and in The Onion, and millions of listeners became armchair detectives in evaluating the story of Adnan Syed, who was convicted 15 years ago of murdering his ex-girlfriend Hae Min Lee. Questions about the case raised by Serial and its focus on Adnan recently allowed him to receive a new hearing. While the case of Adnan and Hae Min was 15 years cold, there was an intimacy to the story. The protagonists had been in high school in Baltimore, and felt like they could be your friends or your kids. Whether or not you believed Adnan was guilty, there were obvious discrepancies and mysteries to unravel. People became personally committed; some traveled to Maryland to investigate for themselves. I stayed up on too many nights reading comprehensive Reddit threads, turning the puzzle pieces over and over. This second season of Serial is a divergence from the first’s narrow focus on a singular event. In presenting the narrative of Bowe Bergdahl, a U.S. soldier who disappeared in Afghanistan and was held captive by the Taliban for five years, Serial and host Sarah Koenig look to be taking on an extremely broad topic indeed: the morality of war, and whether Bergdahl’s decision to desert his post could be justified by the circumstances. This round of Serial is likely to be extremely divisive, and perhaps less accessible to the masses. But it’s an important and gutsy move for a podcast that now has the world’s ear. In the first episode, “DUSTWUN,” which is a military abbreviation for “duty status whereabouts unknown,” we’re introduced to Bergdahl’s case. If you’ve followed it in the news at all, you know that the initial rejoicing when Bergdahl was freed via a prisoner exchange soon soured over accusations of his desertion. Serial tells us how a celebration in Bergdahl’s hometown of Hailey, Idaho was canceled, and how he now faces military charges, including desertion and misbehavior before the enemy, which could mean lifetime imprisonment for the 29-year-old. Bergdahl isn’t talking to the press. But screenwriter Mark Boal (Zero Dark Thirty, The Hurt Locker) recorded 25 hours of candid conversation with Bergdahl in the hopes of making a film about his experience. Both men agreed to share those discussions with Serial’s team. Bergdahl is forthright about leaving his post. He explains that his intention was to trigger a “DUSTWUN” alert that would ricochet up the chain of command and across military bodies, bringing him the attention and an audience with a General he never could have achieved as a private. He claims that his concerns about “crappy” leadership and fears that the men in his unit were in danger prompted this desperate gamble. Serial will be investigating the veracity of Bergdahl’s claims and the circumstances of his capture and imprisonment by the Taliban. I’ve been reading about the Bergdahl story for a while, but it’s absolutely fascinating to hear him recount his actions. Sounding half-sheepish and half-defiant, the soft-spoken Bergdahl admits there was part of him that had something to prove—that he could be a Jason Bourne-like heroic figure. He prepared carefully for his plan to leave the godforsaken outpost where his unit was based and trek across hostile terrain. He mailed home personal items and packed essentials, leaving his weapons behind, and he purchased native Afghan dress to disguise himself. The pre-planning element here shows that Bergdahl’s actions were the result of a good deal of forethought, not a rash and sudden choice. Koenig points out that Bergdahl is in a class of deserters by himself: he wasn’t intoxicated, confused, or consorting. He made what seemed to him to be a moral choice to call attention to problems in his unit, even if many would find the methods by which he tried to do so questionable. 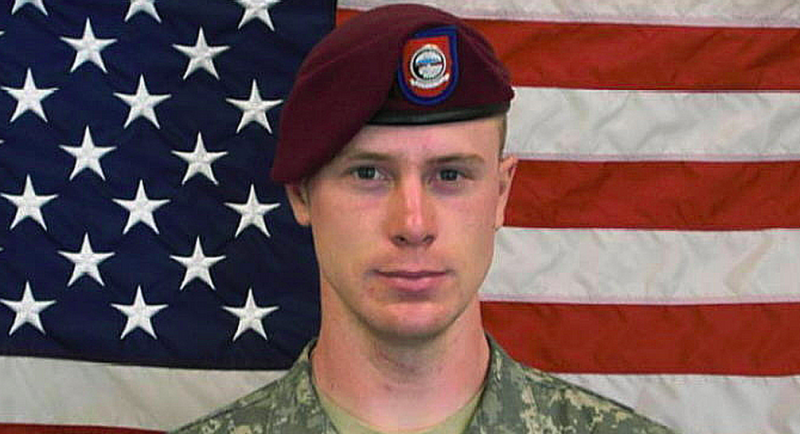 We hear how the full weight and reality of that choice hit Bergdahl partway through his trek. He backpedaled, and decided he was going to return to his post, and to counterbalance the panic he knew his actions would have kicked up, he decided to track down some Taliban activity and bring the information back to camp. That’s when he was caught by the Taliban—the specifics to be discussed next week, when Koenig calls in to talk with Taliban figures with help from an interpreter. Sarah Koenig, on the phone with the Taliban! We are definitely in Serial v. 2.0: Go Big Or Go Home. I’m not sure how to feel about the new season yet. I think Bergdahl’s experience is a critical one to tell, however you personally feel about his actions. Serial’s masterful storytelling is in full swing, clips intercut with audio effects that create a resonant world, and rich scripts that promise to tell every side of the story. This is definitely a tale for our time. Listening to Bergdahl, it’s hard not to feel he’s suffered enough for a decision he made when he was 23 and under conditions most of us can scarcely imagine. And it’s not hard to imagine that he witnessed abuses of power and horrific situations while deployed. In attempting to take on the war in Afghanistan, Koenig and the Serial team have their work cut out for them. Can they untangle the mess of this conflict, ongoing since 2001, for listeners? Will we want to hear it? For Bergdahl’s sake, I hope so. His involvement in Serial must indicate that he believes he’ll receive a more fair trial in the court of public opinion than from the military. If his story gets told, there’s a much greater chance he won’t be forgotten or subject to totally closed-door proceedings. It’s a risky move, but Bergdahl doesn’t seem to be averse to those. What did you think of Serial’s new season starter? Are you on board? Tell us in the comments. We’re also still here to talk about Adnan, forever.